Bishop John Wilson describes the events of Day 6 of the pilgrimage. On Day 6 of our pilgrimage we awoke to a beautiful day in Jerusalem. We are staying at the Knights’ Palace Hotel in the Christian Quarter of the Old City. 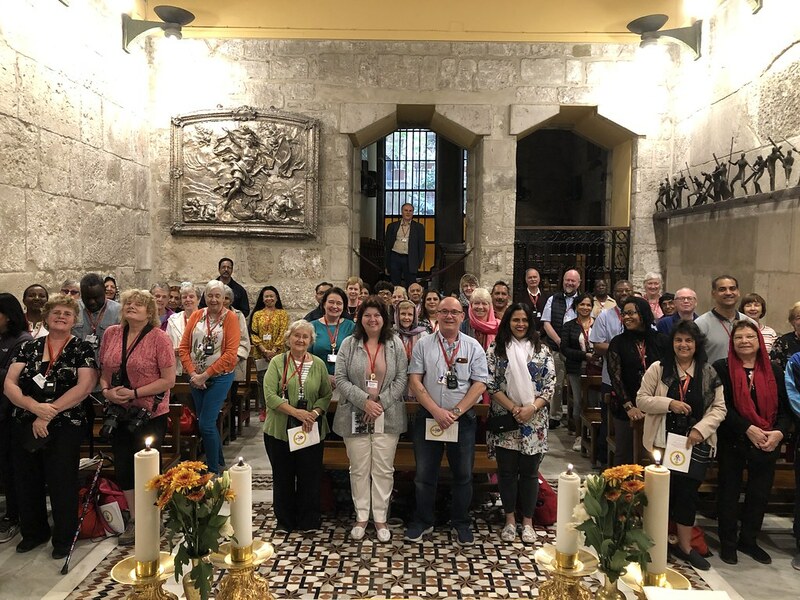 We set off early to walk to the Church of the Holy Sepulchre, the site of the crucifixion, death, burial and resurrection of the Lord Jesus. 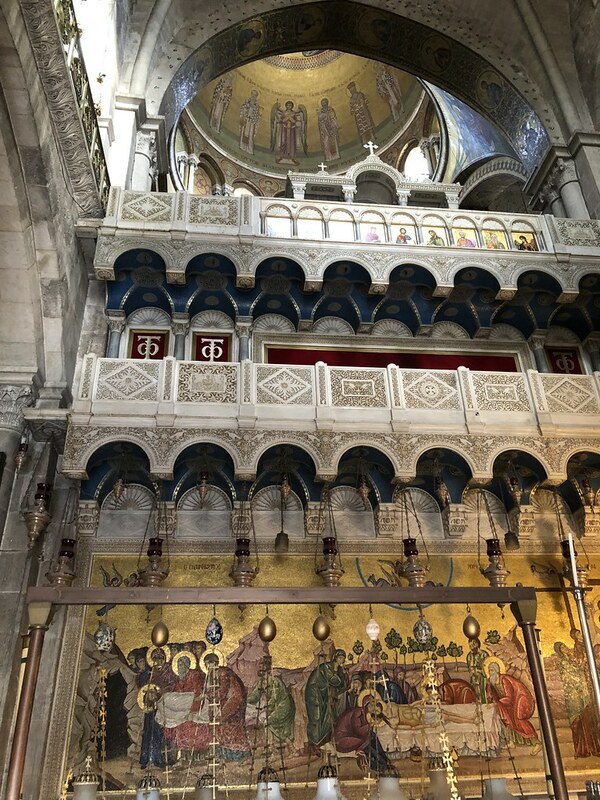 Thankfully the Church was not yet too busy and everyone was able to enter straightaway the tomb of Jesus, the place given to him by Joseph of Arimathea. The tomb is now enclosed by a beautiful chapel. The original tomb was carved from the rock. Jesus was placed there after he was taken down from the cross. And from there he rose from the dead on the third day. We gathered in an adjacent chapel for the celebration of a Mass of the Resurrection. We were reminded of the victory over death and sin that is ours in and through Christ. With joy we sang the Easter dismissal: Thanks be to God, Alleluia, Alleluia! After Mass we moved to the site of Calvary where Jesus was crucified and died. As the Gospel tells us, this was on a hill and so we climbed the steps to venerate the place where the cross stood and salvation was won: We adore you, O Christ, and we bless you; because by your holy cross you have redeemed the world. Our guide then led us through the church complex explaining how it would all have been in the time of Jesus. Again, as has happened so often during these days, our faith came alive in a new way. 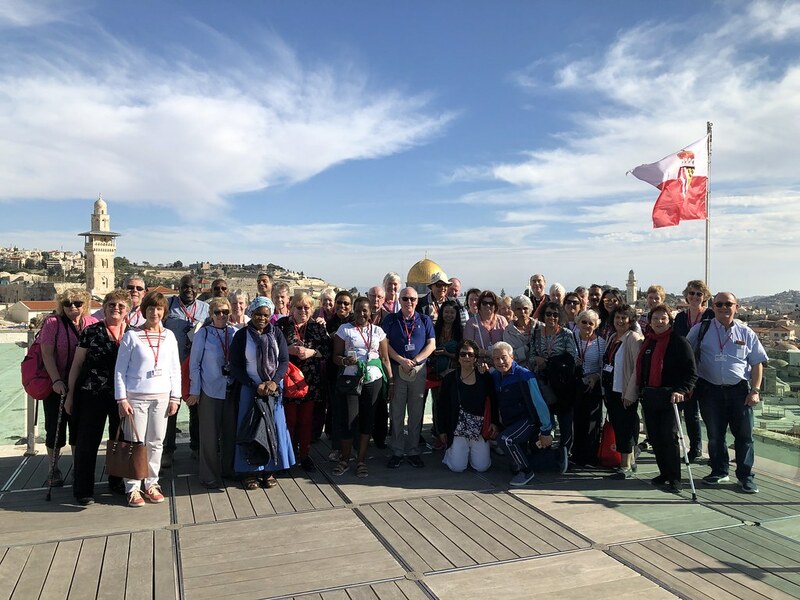 We then walked through the winding streets to the Austrian Hospice for lunch, taking in the stunning views of Jerusalem from the roof terrace. 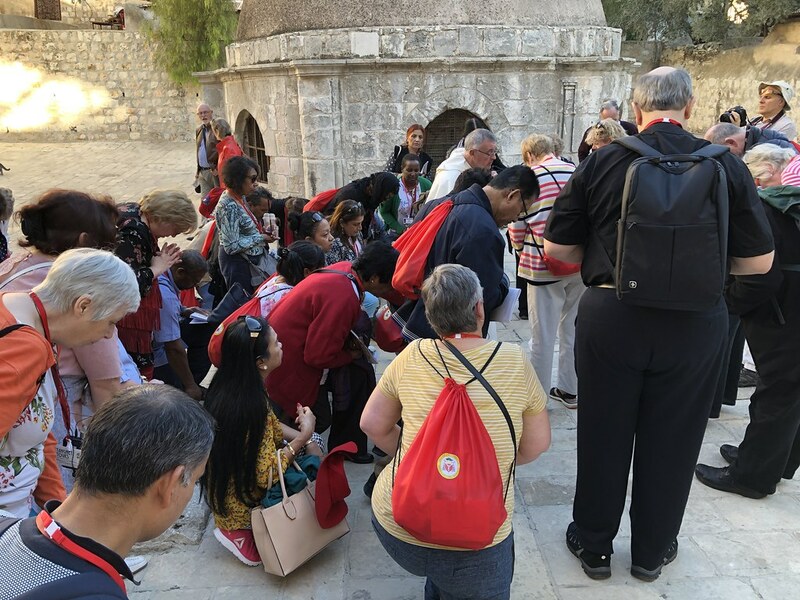 Then, in smaller groups, we followed the Via Dolorosa, the way of suffering, the way of the cross, which marks Jesus' journey towards crucifixion. Along the narrow streets, with all the hustle and bustle of the shops and tourists, we walked and stopped and prayed over and again, commemorating the fourteen moments of the Stations of the Cross. 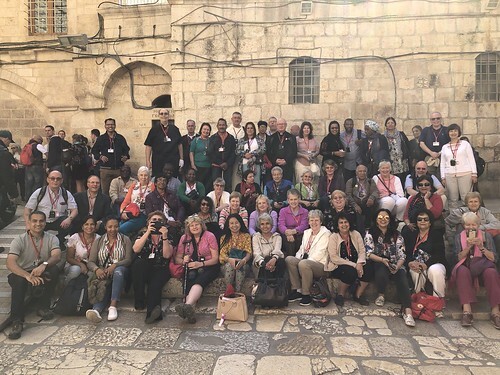 We finished together on the roof beside the Church of the Holy Sepulchre singing ‘Jesus remember me when you come into your kingdom.’ In all of this we prayed for our families and loved ones, our parishes and diocese, and all those in any kind of need. It was a truly inspiring day, both moving and uplifting. The acclamation we say during the Mass was vividly made real for us: Save us, Saviour of the world, for by your cross and resurrection you have set us free. All photos from Day 6 of the pilgrimage are available here.